Difficulty: YDS class 2 (see below). Climbed on September 22, 2008. How to get there: This mountain, together with Mount Mitchell in North Carolina, are the only two ultra prominent mountains in the eastern part of the US. 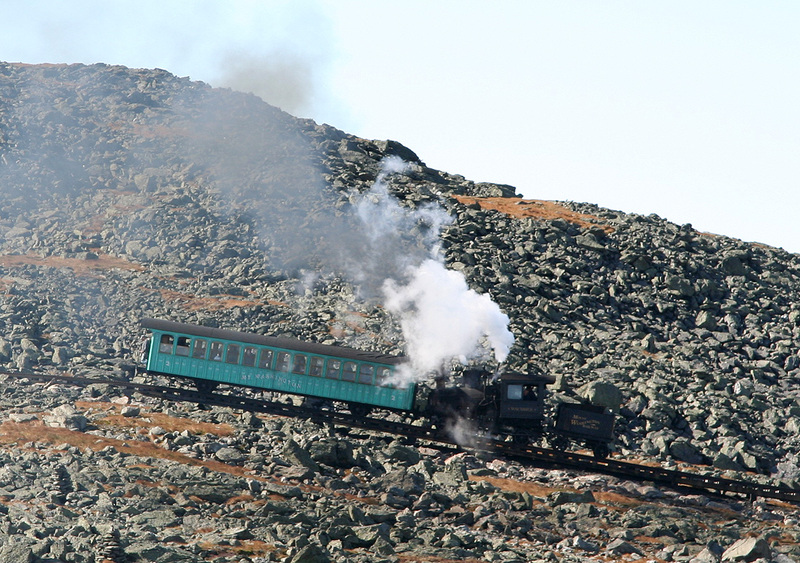 Mount Washington is highly developed, having both a public road as well as a cog railway serving its summit. Just as Europe has an Ultra, Zugspitze, that can be reached without hiking, Mount Washington, has the same distinction in the USA. 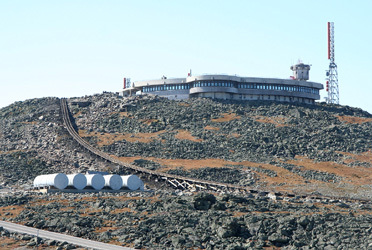 Mount Washington is part of a larger mountain area called The White Mountains. The local (sub)-range is called the Presidental Range, having several summits named after presidents. The famous Appalachien trail crosses the entire range by making a substantial deviation from its general south to north overall direction. There are many trails, perhaps the most popular trailhead being Pinkham Notch on the east side of the mountain. 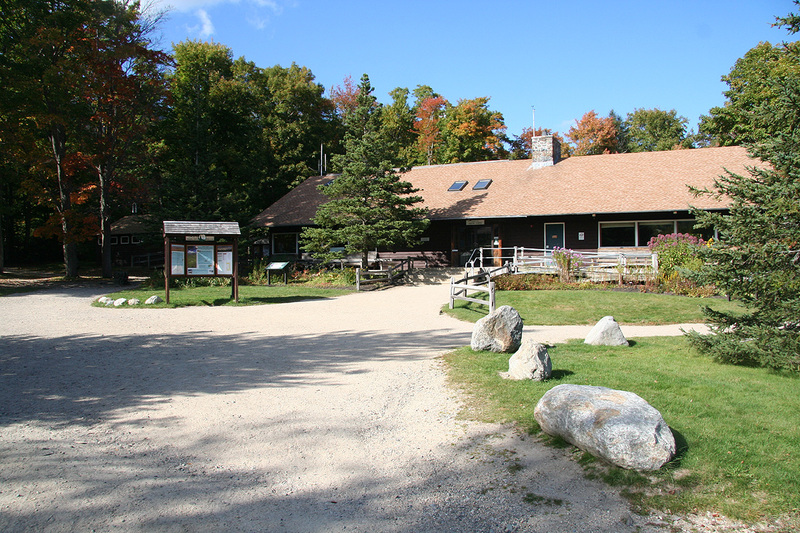 Pinkham Notch has a visitor center as well as a climbers lodge named Joe Dodge Lodge. From Boston, head north on Interstate I-93, and locate exit 35 (in New Hampshire), where you can get on Hwy. 3, north. Cross Hwy. 302 and continue about 2 miles, then turn right on Hwy. 115. Follow Hwy. 115 9.6 miles, then turn right on Hwy. 2 and drive 13.9 more miles before you locate Hwy. 16, again going right. After a final 10.6 miles having circled the mountain, you arrive at Pinkham Notch. An alternative is to leave I-93 a bit sooner, at exit 32, and follow Hwy. 112 east towards Conway. Locate Bear Notch road going left 22.8 miles after leaving I-93. Drive north across the hill (closed in winter) to Bartlett (another 8.8 miles). Turn right (east) on Hwy. 302 and go 6.1 miles to Glen where you find Hwy. 16. Turn left and drive 11.7 miles to Pinkham Notch. If Bear Notch is closed, then go via Conway and take Hwy. 302 north to Glen. 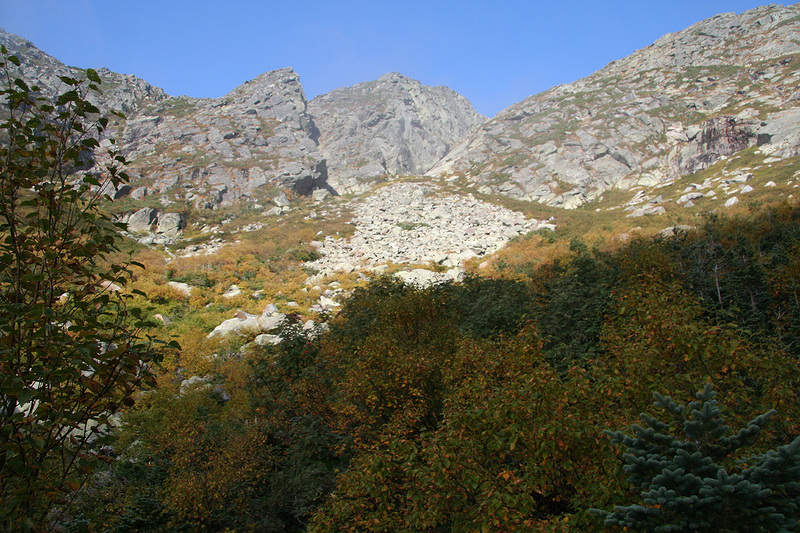 Pinkham Notch is located at N44:15.428, W071:15.179, elevation about 617 meter. There is a large parking area. 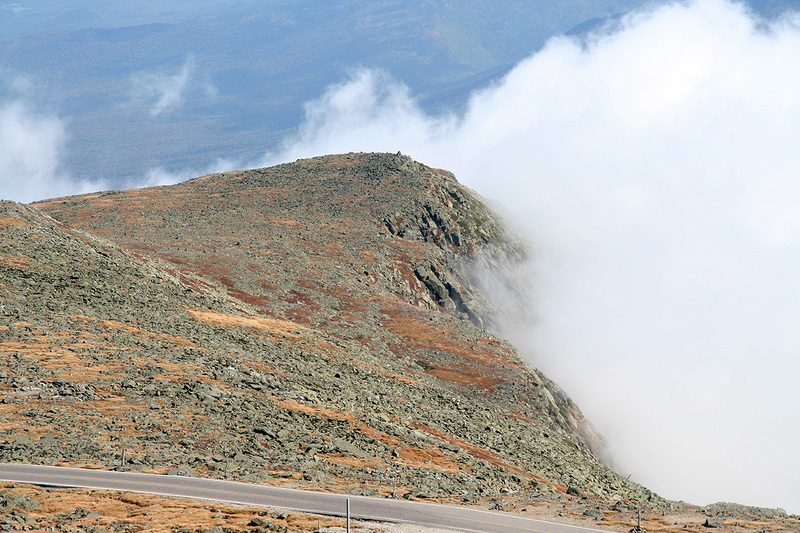 Route description: From the Visitor Center at Pinkham Notch, there are basically three trails that climb Mount Washington. These trails start out together for the first 2 kilometer, while climbing about 300 meter. Here, the Huntington Ravine trail forks right, while the two other trails stay together for an additional 1.3 kilometer until just before Hermite lake at approximately 1200 meter. 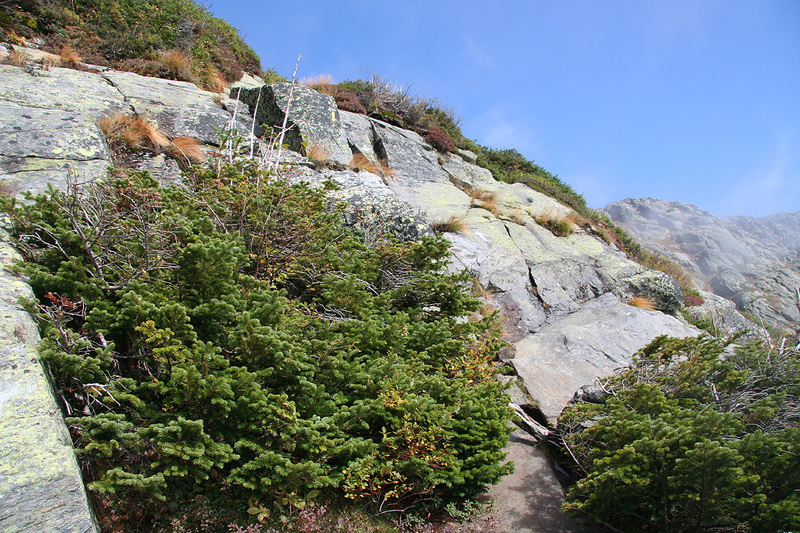 At this point, The Lion Head trail forks right while the Tuckerman Ravine trail continues straight ahead. Tuckerman and Lion Head trails are both (YDS) class 2 trails. 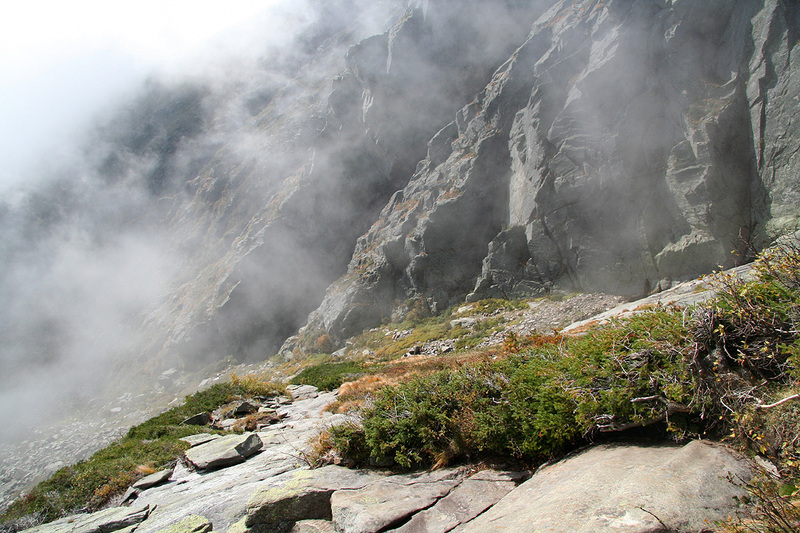 Tuckerman runs in the valley, then has a steeper section in order to gain a broad saddle just above 1600 meter. Lion Head climbs more steeply immediately and gains a local outcrop (the head of the Lion?) 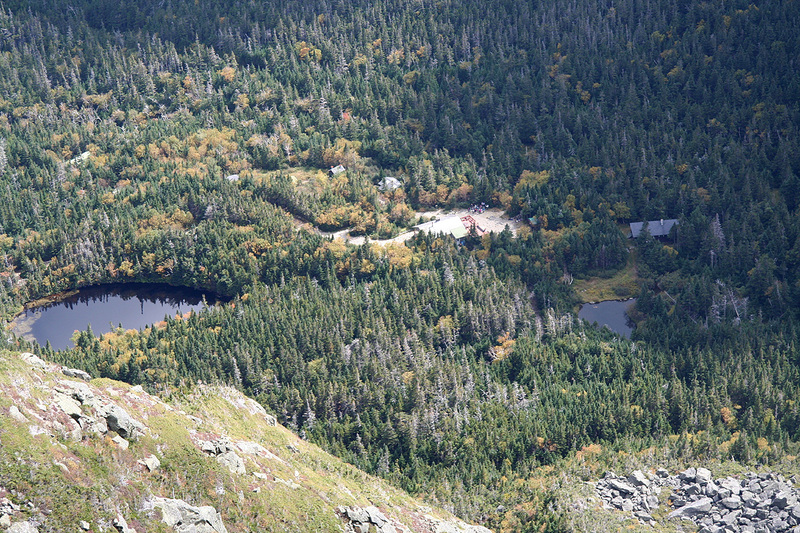 then contours nicely in order to again link up with the Tuckerman Ravine trail just below the 1600 meter contour. The final section runs nicely uphill and gains the public parking area just below the summit. The Huntington Ravine trail has a substantial section of (YDS) class 3 scrambling. This route may be tricky if wet, a good advice would be to only consider this route when the weather is dry and stable. The route first follows various creeks as it climbs into the basin where the steeper part begins. As you arrive at the 1260 contour level, you will see the terrain ahead and above. 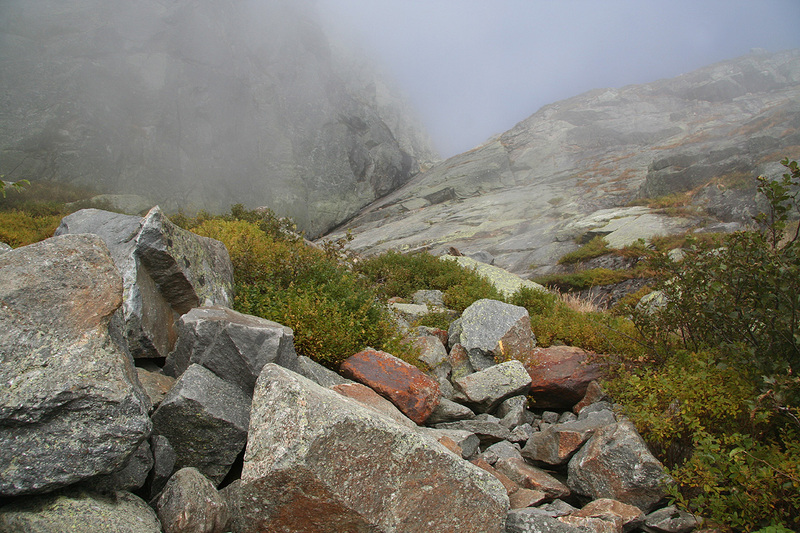 First, a short section of very large boulders must be negotiated, then the trail climbs the initial slope towards yet steeper terrain higher up. Part of this section follows a small creek and care is needed to avoid the most slippery rocks. A very distinct gully runs up somewhat to the right as facing it from below. The small creek drains down here. Climb to the lower base of this gully. 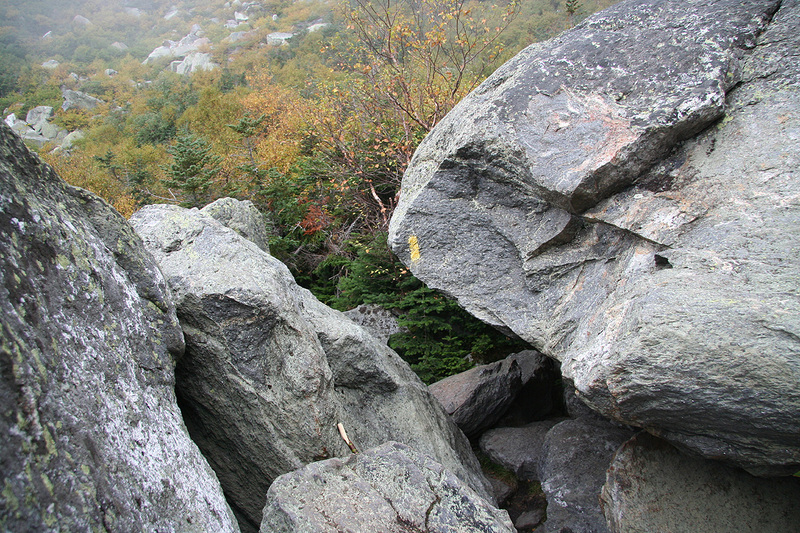 You will see the yellow paint leading the way up and across slab rock to your right. From here on, this route is pretty sustained class 3, a couple of moves may border on easy class 4. The yellow paint shows the way up as well as some cairns. The rock is good with excellent friction (when dry). (It is a bit steeper than what the picture shows.) There are reasonable holds for hands and feet as soon as you take the time to look carefully. The terrain around you is certainly full of cliffs, near the top, there is a steeper section that finishes with a somewhat narrow ledge. Eventually, you top out onto easier ground, here large cairns show the way. Continue up to the main crest, then follow this left to the summit area. This last section of the route is called the Nelson Crag trail. 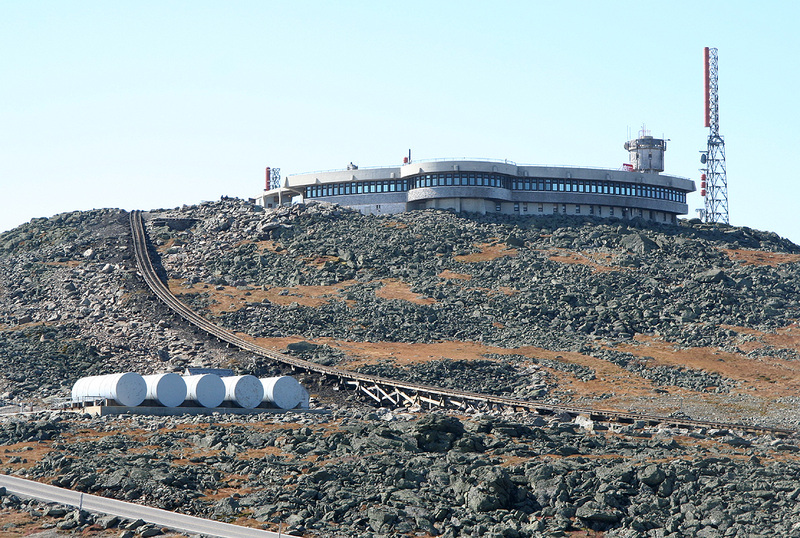 Comments: After climbing Mount Mansfield, I drove across to Pinkham Notch and checked in at the Joe Dodge Lodge, located next to a visitor center, right at the trailhead. I was too late for any dinner, but ate the bread that I had bought along the way. 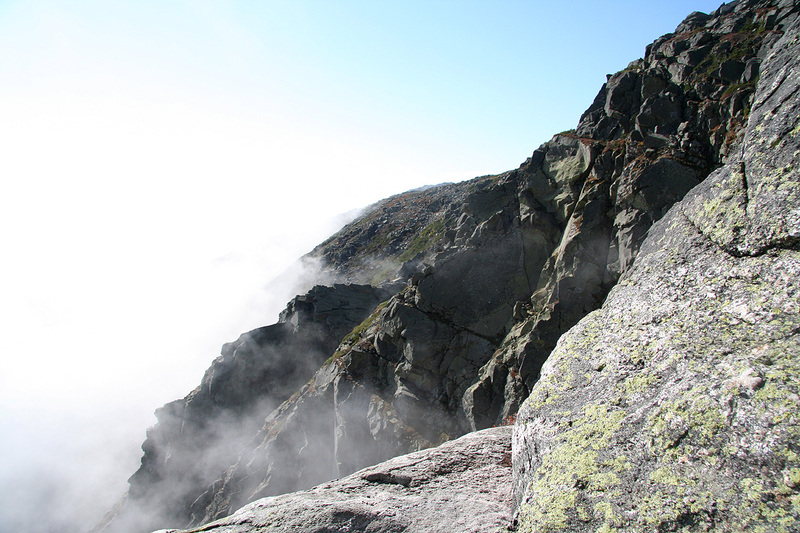 I reconsidered my plan for also climbing the state highpoint in Maine. This would involve a very long drive and the friendly ranger at the local visitor center (she was from Maine) could confirm that there is a lot of red tape involved in climbing Mount Baxter. Again, potential trouble for a plan that would require precise timing due to my flight the same day back to Europe. Instead, I planned to have breakfast here and possibly explore two routes on Mount Washington, the forecast for Monday called for excellent weather. I started out at 0740. Hiking up the broad, but rough trail I came across a moose after about 20 minutes. She suddenly appeared on the trail only 5-6 meter in front of me, then walked into the forest on the opposite side. She was almost black in the fur, considerably darker color than the moose we have in Norway. After about 30 minutes of hiking, I came to the trail fork where Huntington Ravine trail forked right. This trail is a bit rougher, crossing creeks and climbing around and among boulders. By 0900, I had reached the steeper part of the trail. The clouds were breaking, or rather I was about to climb out on top of the cloud cover. The sun was striking the cliffs above me and I was eager to find out just how difficult this route might be. The ranger had told me this was the most difficult trail in the White Mountains, surely (YDS) class 4. I advanced the final stretch to the base of the cliffs in a small creek, then saw the yellow paint on the smooth rock above. This section is not very steep and the rock provided good friction. Higher up, the route continued with more class 3 climbing. Fairly short pitches with short sections of easier terrain in between. Alternating like this, the route was actually quite fun and it certainly kept your focus. The route topped out on a more gentle slope with several big cairns, then continued as a class 2 trail up to the main ridge. 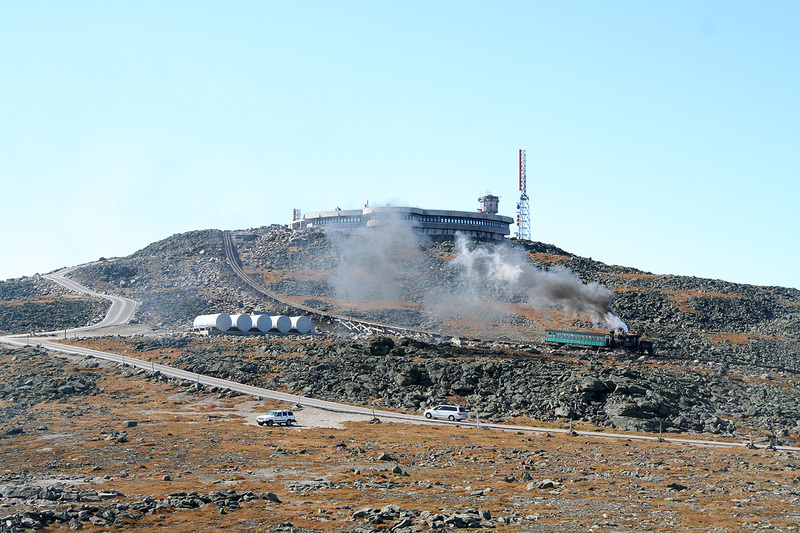 I arrived at the summit at 1100, quite a few tourists had already arrived by car and cog rail. The latter consisted of a small engine pushing a single car up the slope while sending huge plumes of dark smoke into the air. I explored the area and bought myself a bowl of chili for lunch. By 1200, it was time to start the descent. 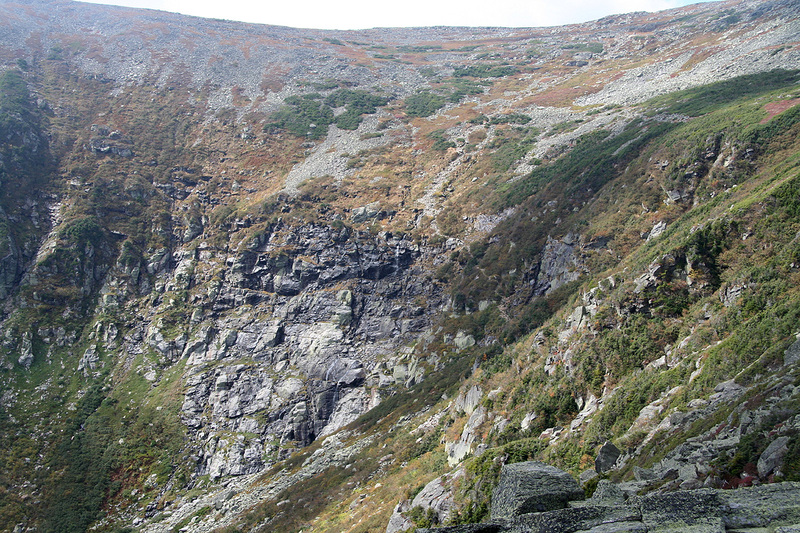 I hiked down the upper part of Tuckerman Ravine, then forked left and descended the Lion Head trail. Easy class 2 trail all the way. Returning to Pinkham Notch by 1420, there was time to relax in the afternoon sun before dinner at 1800. Quite a few guests were hiking the AT (Appalachien Trail). I had a nice chat with a few in their early 70s, they hiked the trail for about a month each year and had about 300 miles left to do (going south to north). A younger guy from England had tried to complete the entire trail in one season, but realized that about 300 miles would have to be postponed to next year. Impressive efforts! 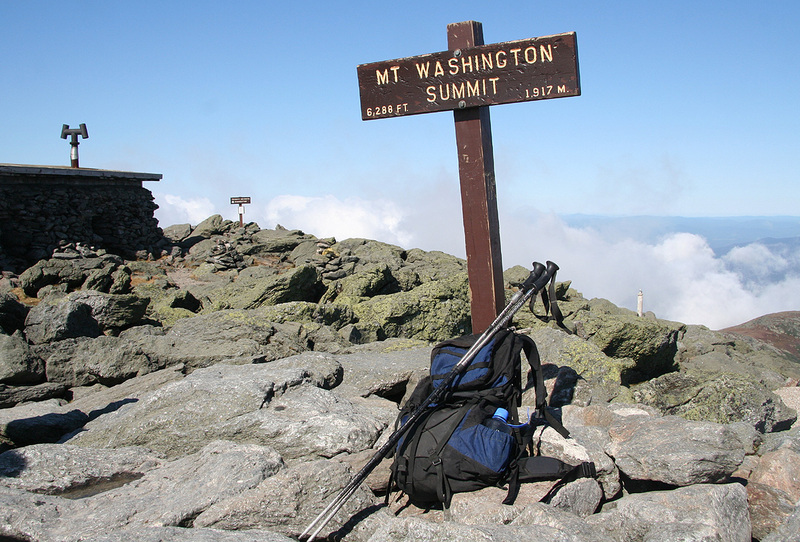 I stayed another night and had decided to climb Mount Lafayette on my way back to Boston. This peak appeared to be the highest in the White Mountains outside of the Presidental Range. Pinkham Notch, this is the trailhead. Summit view, some of the other presidental peaks. The east side, the Huntington Ravine route comes up further out on this side. 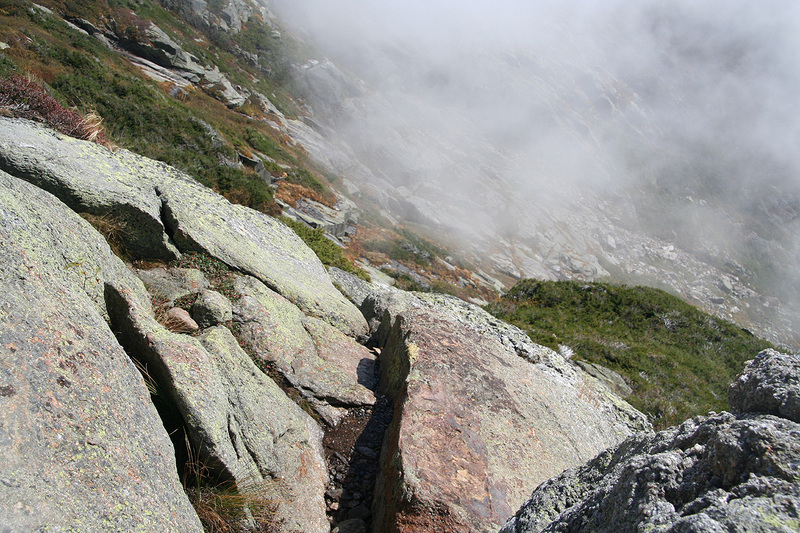 Tuckerman Ravine, this is the steepest part of the trail (partly out of view). The Hermite Lake, as seen from Lion Head.